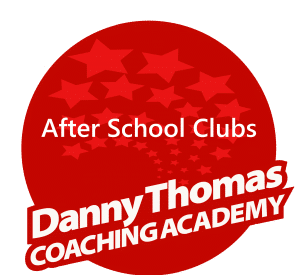 Danny Thomas Coaching Academy ensures the safe and secure provision for children and young people at all our sport sessions. Therefore, safeguarding the welfare of children and young people is part of our core business and all staff are DBS checked, First Aid qualified and have undertaken children’s Safeguarding training. This policy, with the associated procedures, provides guidance for all staff who may come across concerns of this nature within the context of their work for Danny Thomas Coaching Academy. Danny Thomas Coaching Academy acknowledges and accepts it has a responsibility for the well-being and safety of all children and young people who are under Danny Thomas’ Coaching Academy care or using its facilities, (children and young people mean those under 18). It is the duty of all adults working for us to safeguard the welfare of children and young people by creating an environment that protects them from harm. The well-being of children and young people is paramount for all staff and accordingly, they must make themselves aware of this policy. Where appropriate, the following guidelines will be supplemented by in-service training and additional guidance. Our coaches are trained to identify child protection issues and in such cases the child will take priority and take forward these issues with the relevant authorities who will investigate accordingly. Responding to specific child protection concerns about children at risk of significant harm that are likely to need to be referred through to social care services and possibly the police. Give the highest priority to their safety and welfare. Recognise, identify and respond to signs of abuse, neglect and other safeguarding concerns relating to children and young people. Respond appropriately to disclosure by a child, or young person, of abuse.  Respond appropriately to allegations against staff, other adults and against themselves. Contribute, as necessary, to all stages of Danny Thomas Coaching Academy safeguarding and protection processes. The aims of the Danny Thomas Coaching Academy Safeguarding Policy is to safeguard all children who interact with Danny Thomas Coaching Academy activities. To develop a positive and pro-active welfare programme to enable all children and young persons to participate in an enjoyable and safe environment. To promote high ethical standards throughout all Danny Thomas Coaching Academy activities. All allegations of abuse will be taken seriously and responded to efficiently and appropriately. To encourage parents and other members of the child or young person’s family to be involved in a relationship with us. To ensure that coaches, parents and other adults who come in contact with children and young people provide good role models of behaviour. As part of Danny Thomas’ Coaching Academy recruitment and selection process, offers of work to positions which involve working with children are subject to satisfactory DBS checks and appropriate references are obtained. Danny Thomas’ Coaching Academy has procedures in place for children whose parents or carers do not collect them from an activity at a specified time. All parents and carers are made aware that their children should be met no later than 15 minutes after an activity has finished. Should the child not be collected within 15 minutes, coaching staff have emergency contact numbers. Only the (primary) adult delivering the child to the session is entitled to collect the child, unless alternatives have been discussed with the primary adult. Under no circumstances will a child be released to anyone without this prior approval. If in doubt the Police may be called. Danny Thomas’ Coaching Academy adopts best practice regulations laid down by the FA in relation to the supervision of Adults to Children. Procedures are in place to fully risk assess the types of activity and participant ability to ensure appropriate ratio of staff/coaches to participants. Events of Concern: Danny Thomas’ Coaching Academy is committed to doing the utmost to safeguard children from harm, there may be an occasion when concern is raised over the treatment of a child. ‘Child abuse and neglect’ are generic terms encompassing all ill treatment of children as well as cases where the standard of care does not adequately support the child’s health or development. Children may be abused or suffer neglect through the infliction of harm, or through the failure to act to prevent harm. Abuse can occur in a family or an institutional or community setting. The perpetrator may or may not be known to the child. Should you have any concern that abuse is occurring you should contact Social Care or the police. Responding to suspicion or a report: Where possible, the Owner of Danny Thomas Coaching Academy should be contacted as early as possible, however it is recognised that an individual may need to respond to a situation immediately. With this in mind the following guidelines offer help and support in responding to abuse or a suspicion of abuse: If the child is hurt or ill – seek medical attention if necessary – call the Police (101 or 999) and ask their advice if you are unsure – or the local authorities young peoples and social care department – if the child is immediately at risk of significant harm, treat any allegations extremely seriously and act at all times towards the child as if you believe what they are saying. Tell the child they are right to tell you and reassure them that they are not to blame and be honest about your own position, who you have to tell and why and tell the child what you are doing and when, keep them up to date with what is happening and take further action – you may be the only person in a position to prevent future abuse. Respond, Record, Refer Write down everything said and what was done as soon as you can – Use the child’s words – not your own opinion or what you think they said and inform parents/carers unless there is suspicion of their involvement Don’t make promises you cannot keep and do not interrogate the child – it is not your job to carry out an investigation/interview – this will be up to the police and local authority professional staff. Listen and ensure that you do not jeopardise any potential criminal investigations and cast doubt on what the child has told you, don’t interrupt or change the subject and do not say anything that makes the child feel responsible for the abuse or promise to keep secrets or keep the information confidential Not acting is NOT an option – Safeguarding is everyone’s responsibility. Recording, We will ask for a written factual statement from the person making the report. If the report involves an allegation about another member of staff, that person will also be asked to write a brief report. Any statement made by the child or young person should be reported in their own words. These reports should be confined to facts and should not include any opinion, interpretation or judgement. We will ensure that any child concerned is immediately removed from any possible risk of harm. We will report to and seek the advice of the Local Authority and the Police. Confidentiality – No guarantee of confidentiality can be given to a child or young person (although this does not necessarily mean that the parents of the young person have to be told). We cannot promise to keep their disclosure a secret or that an employee or affiliate will not have to speak to someone else about the issue – we will reassure them that it will be on a ‘need to know’ basis and that their dignity and privacy will be respected at all times. A child or young person should never be pressured to give information or show physical marks unless they do so willingly. If they choose to show markings, two members of staff should be present. Undertakings of confidentiality should not be given either to the person making the allegations or to the person being interviewed. The priority is that the welfare of the child is protected. If in doubt communicate your concerns to the owner of Danny Thomas’ Coaching Academy. Where a disclosure is made the following procedure is actioned immediately. Any disclosure of abuse or harm to a child or vulnerable adult should be reported immediately to The Owner of Danny Thomas Coaching Academy. The freelance Coach or Employee will be immediately removed from any further duties. We will then contact relevant organisations/authorities. All steps are undertaken to ensure only the most appropriate staff are employed by Danny Thomas Coaching Academy. We have a clear Complaints Procedure that investigates all complaints made to us regarding our affiliates and employees. Continuous environmental scanning takes place to ensure that Danny Thomas Coaching Academy adhere to the latest legislation and safeguarding protocols. Organisations that we may share information with are The Police, NHS and Social Services, in accordance with this policy and our Confidentiality Policy. Policies and Procedures. Sections 1 to 9 inclusive. Version 2.0 created and reviewed (typo amended section 1) by S Smith January 2017. Completed. Version 3.0 created and mid-term review August 2017. Behaviour Policy added. Completed. Version 3.0 reviewed by S Smith January 2018. Completed. Version 3.0 review completed January 2019. No amendments or additions. Date of next review: January 2020.